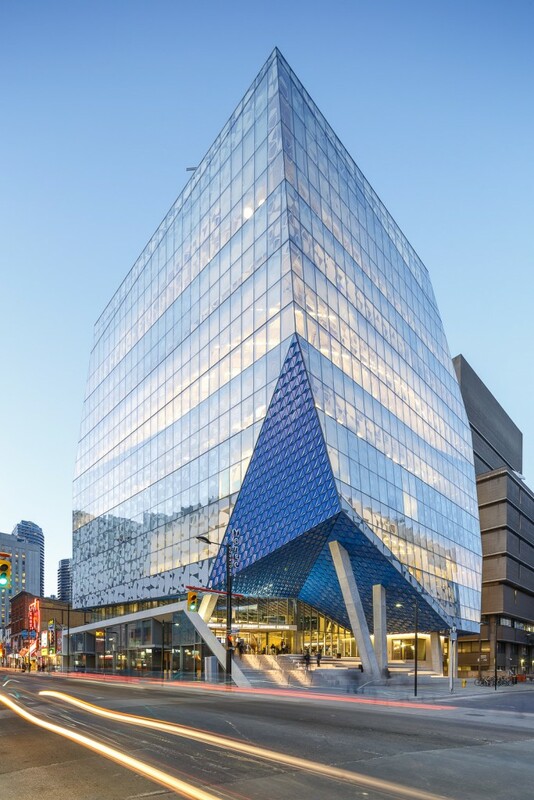 Ryerson University’s Student Learning Center (SLC) is the Ultimate Educational Environment. The center was designed by Snøhetta, and is the newest addition to the campus. 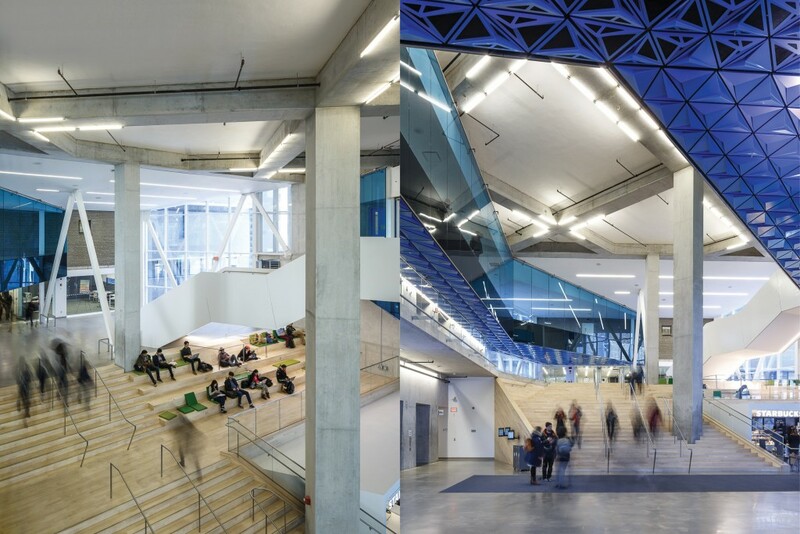 The facility serves as an extension to the university’s existing library and is devoted to providing unique spaces for students to study, create, collaborate, and learn outside of class. 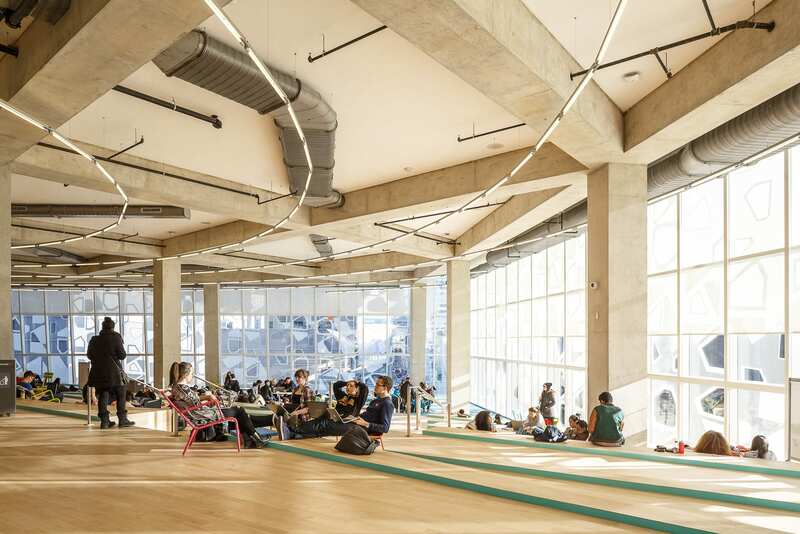 The first floor of the center features a massive atrium, café and late night study zone. A staircase leads to the first learning level and digital media center directly above the lobby. 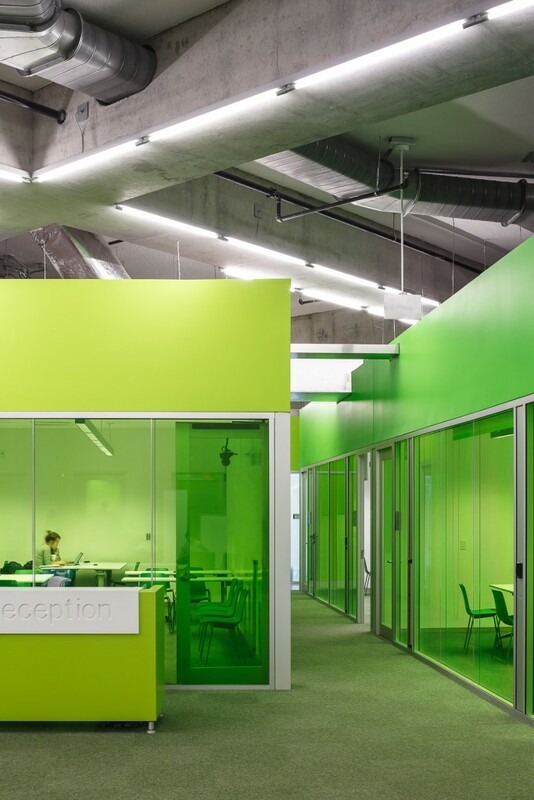 To reduce excessive sound reflected off the hard surfaces and materials, acoustical treatment was essential. For this reason, SonaKrete– a spray-applied, hand-troweled acoustical finish was applied to the ceiling. Unlike hard surfaces and materials, which reflect sound, SonaKrete absorbs echo, reverberation and excessive noise, while complimenting the clean lines, exposed structural detail and industrial character. SonaKrete was also utilized for additional areas throughout the center, including one aptly called “The Beach”. The Beach is a completely open floor that serves as an informal study area. The space is divided organically by slight variations, ramps and gentle steps, which resemble waves. The walls consist of massive glass windows, which pore natural sunlight into the area. In addition to acoustic performance, SonaKrete White provides high light reflectivity and helps maximize day lighting. When it comes to educational environments and open-plan design, the importance of acoustics cannot be over emphasized. SonaKrete provides optimum acoustic control to maximize functionality and indoor environmental quality. SonaKrete is available in White and Arctic White, and can be manufactured in custom matched integral colors. Manufactured in the USA from recycled, plant-based fibers- organic in nature, SonaKrete is an environmentally friendly solution for new construction, renovation and historic preservation projects. To learn more about SonaKrete visit www.sonakrete.com .